This post will share with you a super simple apple shrub recipe that will help you transition from sweltering summer days to cooler fall nights. Shrubs are, in addition to being nice greenery, a simple syrup made from fruit (or sometimes vegetable like rhubarb), sugar, and vinegar. It is very strong straight but divine when mixed with ice, sparkling water, and booze. They are a refreshing departure from the overplayed and saccharine sweet daiquiri or standby margarita. They are super simple to make, even if you don’t cook, and are sure to impress. They are an old-fashioned concoction, popularized during the prohibition era, and ready to be reincarnated on your countertop. My friend Kalisha of www.kalishablair.com and homemade bread baking fame told me about this book, “What to Drink” which is about cocktails served up during Prohibition and I immediately put in my Amazon order. It is awesome, of course, and I’ll be sharing more of the fun recipes within here very soon. Apple Shrub is a great recipe because it takes just one apple of any variety, is fun to spice up with cinnamon or a few dissolved red-hot candies, and mixed with whiskey. It is a cocktail that will transition your beverage game right into autumn. Place shredded apple at the bottom of a glass jar. Cover with sugar. A funnel is helpful but not necessary. Cover jar with lid, and let it sit on your counter for several hours, even overnight. Add vinegar and stir and be sure to dissolve sugar. Lid, and let sit on your counter for up to a week. Strain into a clean vessel, add a teaspoon of cinnamon if you desire, and store in the refrigerator. Mix and serve. Wood stoves, scarves, and falling leaves are optional. This little love affair I’ve had with creating shrubs based on old recipes, mixed with spirits I like, in simple combinations has spawned a project that I’m really proud of and very excited to share. I’ve created a course about how to create your own homemade cocktail mixers called Wildflower Mixology. 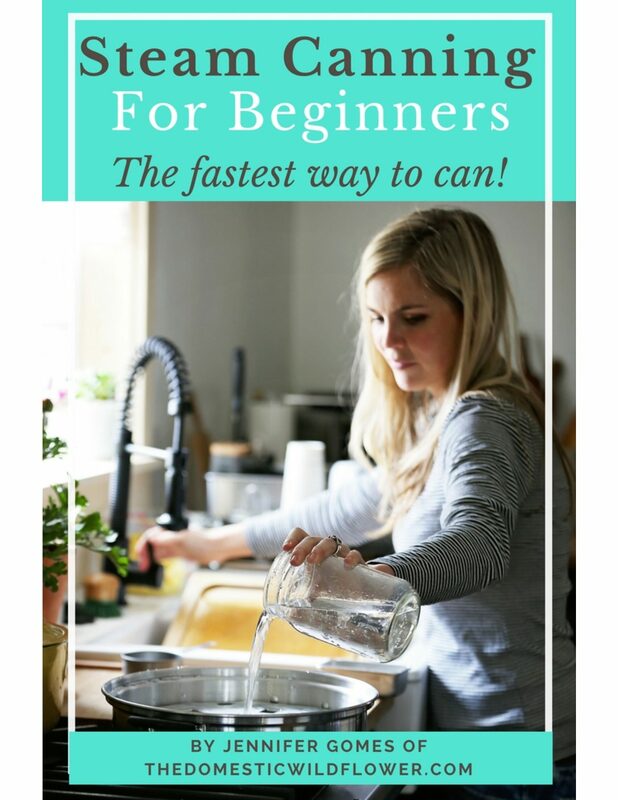 If you’ve been following me for any length of time you know how much I love homemade, simple, farmer’s market fresh fare, and how much I love helping beginners start making more homemade for themselves. If you love sweet-tart things and want to learn how to make a ton of different types of shrubs, sign up here for my free email course. I’m pretty sure it is the only email course out there on shrub making and it is 6 easy to read emails and includes recipes like Strawberry Pineapple Shrub and Balsamic Blood Orange. Get it now! Sounds great. I saved the recipe and will give it a try. Does the vinegar taste disappear as it ferments? Margy, the shrub doesn’t ferment at all. It’s more of a cold steep. No the vinegar taste does not disappear- it mixes with the fruit and sugar and it’s a concentrated syrup you’d mix with sparkling water, other ingredients, and maybe a shot of alcohol.